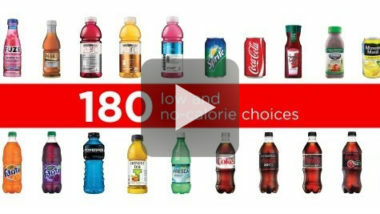 Coca-Cola has made obesity the focus of a new television advertising campaign. While it may seem ironic for the maker of sugary sodas to show its concern for this national health issue, the global beverage brand has created a series of commercials that describes the company’s efforts to promote a healthy lifestyle. One television ad geared toward policymakers describes the steps the company has taken to help consumers make healthier choices. Another TV ad aimed at consumers focuses on the calories per can and offers tips for burning them off. The New York Times reported on how people are responding to Coca-Cola’s outpouring of healthy intentions. The beverage maker has been frequently cited for contributing to the nation’s obesity epidemic, but this is the first time that they’re addressing the issue head-on. Unfortunately, the television ad campaign attracted rampant criticism before it even debuted. Some people in the health industry viewed the ads as pure public relations and felt that they trivialized the serious health risks of consuming too many sugary products. Others thought the TV ads would do nothing to fight obesity and that if Coca-Cola really wanted to make a difference, then the company should make a bold move like charging more for high-calorie sodas than it does for lower-calorie beverages. Despite such harsh sentiments, Coca-Cola is forging ahead with its health-centric ad campaign and taking a defensive stance in the ongoing obesity crisis. To discover the power of a creative television advertising campaign, contact MDG Advertising.